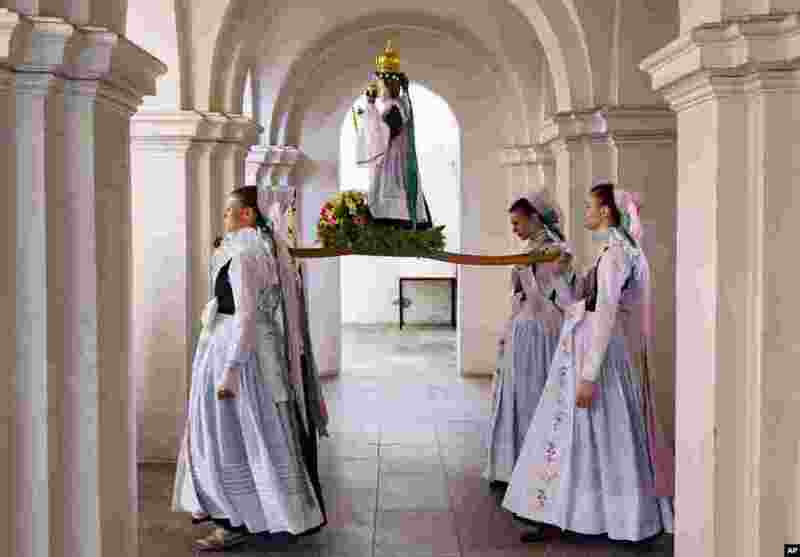 1 Women dressed in the traditional clothes of the Sorbs carry the statue of Virgin Mary during a procession in the church in Rosenthal, Germany. 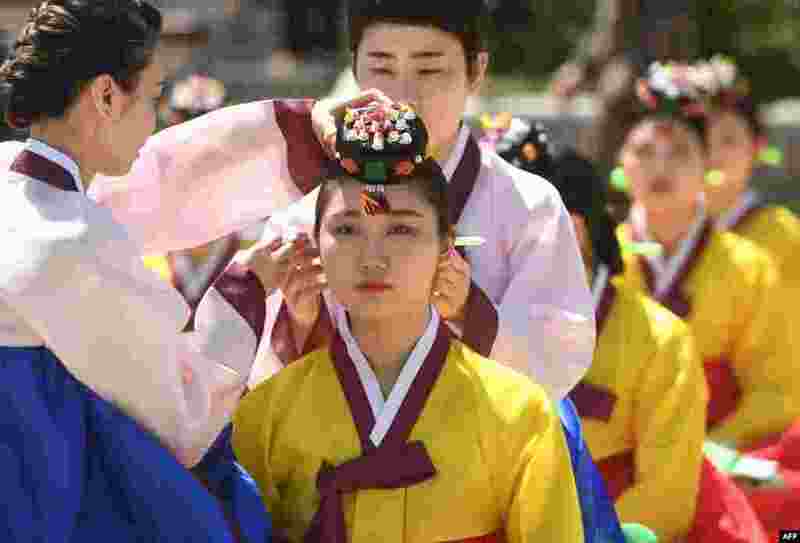 2 A young South Korean woman wears a traditional Korean flower cap during a traditional Coming-of-Age Day ceremony to mark adulthood at Namsan hanok village in Seoul. 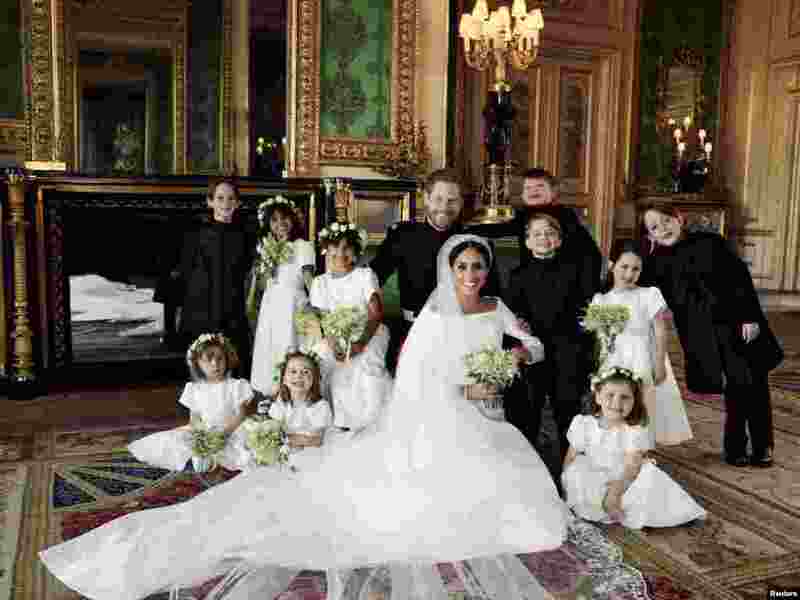 3 This official wedding photograph released by the Duke and Duchess of Sussex shows The Duke and Duchess in The Green Drawing Room, Windsor Castle, with (left-to-right): Back row: Master Brian Mulroney, Miss Remi Litt, Miss Rylan Litt, Master Jasper Dyer, Prince George, Miss Ivy Mulroney, Master John Mulroney. Front row: Miss Zalie Warren, Princess Charlotte, Miss Florence van Cutsem, May 19, 2018. 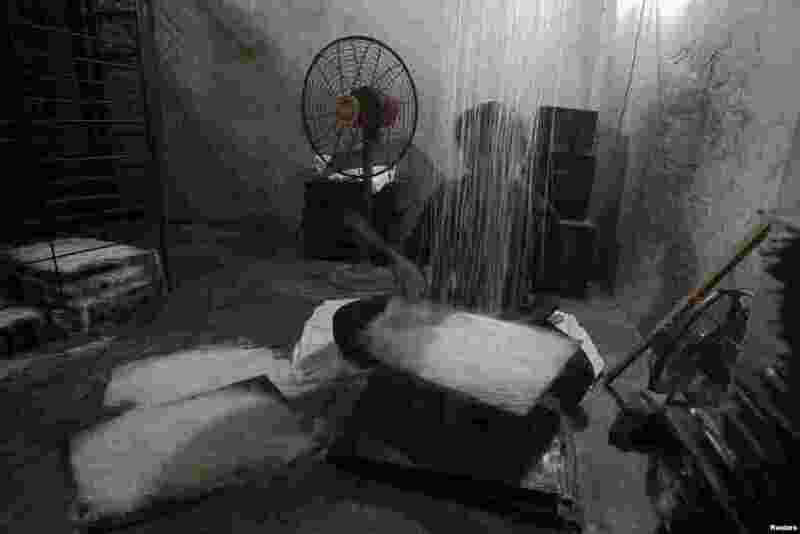 4 A worker fills a tray with vermicelli, a specialty eaten during the holy month of Ramadan, at a factory in Allahabad, India.